A teenager job search can be challenging for several reasons. Most teens do not have extensive work history. They also have demanding schedules which sometimes include sports and school. Finding a job as a teen can be difficult, but a few tips can help make it easier to accomplish. Think outside of the box when looking for a job as a teen. A job search for a teen should start as close to home as possible to facilitate getting to and from work. Staying close to home may ease the minds of parents, too. Local Businesses: While fast food restaurants and retail outlets are a large draw for teens, there may be other local businesses with more promising positions. Consider visiting small businesses, family owned restaurants, and local service providers to inquire about a position. 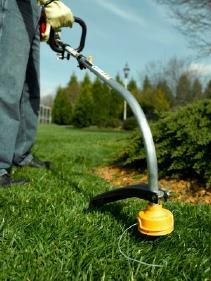 For example, a local real estate firm may hire a teen to keep landscaping in shape at the properties they are managing. Talk to the Schools: Many schools are painted, fixed and cleaned up during the summer months or after school during the school year. Talk to the local janitorial supervisor or apply at the school board. Do not forget about private schools and day care centers when looking for this type of work. Government Offices: Government offices may provide teenagers with employment. Visit city hall, the commerce office and tourism facilities within a city. Inquire about potential positions available. The parks and recreations divisions often need help as well, though they may not advertise these positions. Consider the facilities located up and down the main thoroughfare in your city. Could they need the services of a teen looking for part time work? 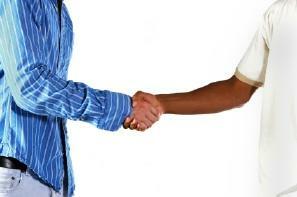 Networking can be very valuable when conducting a teenager job search. Networking is a process requiring individuals to talk to friends, family and acquaintances to inquire about potential work opportunities. These individuals may be business owners or may work for a company in need of additional help. Most of these positions are not advertised. The only way to get them is through asking about them. Talk to parents, aunts, uncles and other family members. Find out if their places of employment may be hiring. Talk to friends and friend's parents to inquire about potential job opportunities. Neighbors can also be a good source of help here, especially if they own their own business or work for a smaller firm. Teachers and other school faculty may be able to help a teen find a job that suits their skills. Church leaders and congregation members may be able to help a teen locate a job. Being active in social circles like this can help a teen to find quality employment usually far better than that, which would be available through a local chain. Find a friend or family member with a landscaping or remodeling business and work with them. These professionals often hire teens who they know are reliable and qualified. The more people who are spoken to, the more opportunities for employment will be available. Keep your options open by talking to a variety of people. A teen job search may not lead many opportunities, especially in times when jobs are scares. In these instances, teens should consider other areas for employment. For example, teens can start an online business through blogging or affiliate marketing, if they are knowledgeable in this area. Starting a local business may also be an option. A teen may be able to provide landscaping and lawn care services if they have experience doing so. If these types of jobs do not seem right, locate a position that fits the specific skills and qualifications an individual has. Write for a local newspaper or online service if you have good journalistic skills. For those who love sports, find positions assistant coaching or working on field maintenance. Teens may want to try jobs that could turn into internships later, such as working in a doctor's, attorney's, or other professional office. Keeping your options open and being willing to try new things are important features. Learn as many job tips as you can to help you qualify for employment.